It's high time I announced the winner of my blogiversay giveaway. Thank you all so much for entering and letting me know what you were doing. It seems like a lot of you like "The Cheap Shop" too. It is a treasure trove for crafters. Now on to the important business. I wrote all your names down and put them in a little bowl. Then I asked Rory to come downstairs and pick a winner. Then I got tired of "hanging on" whilst he just "finished this bit" on the X-Box so I went upstairs and asked him to pick one of your lovely names. He picked Diane. 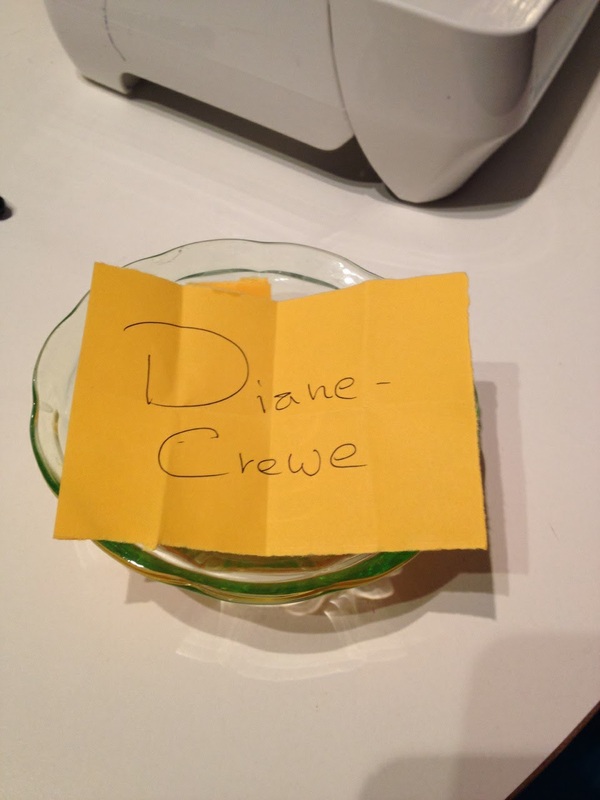 Diane commented on my first blog post and has been a follower since then. Give me an e-mail Di and let me know your address and your package will be winging its way to you. oh my goodness !! I just read this and am ... to say the least AMAZED!!! !